Dystopian YA sci-fi with a Christian bent. That’s what we have here, and for all of that … it mostly works because author Krista McGee knows how to tell a story. Thalli is a teen female at some time in the future when The State controls everything about a person, including when they should die. Thalli’s time is up and she’s ready to accept her fate. But Thalli is different. She’s an anomaly. Thalli actually feels things. The doctors want to study Thalli and see why she’s so different. She learns some truths about human-kind and man’s history. She has a gift for performing music and the music ‘moves’ her. All of these are strange feelings. Feelings she is not supposed to have. She keeps these feelings secret from those monitoring her because she’s knows it’s still dangerous to be too much of an anomaly. But with feelings now, Thalli no longer wants to die. This book has all the necessary ingredients for a typical YA novel: a female protagonist; no parents; the entire world against her; one friend that she must trust and confide in; her life in danger. And even though this is pretty typical YA with a cookie-cutter plot (see previous sentence), Krista McGee manages to make it interesting and engaging. I’m definitely a sucker for books that manage to weave art and music in to the story-line, making it an integral part of the story or characters and so I was an easy mark for this book. Thalli appreciation for and understanding of music and art is really well done and McGee gets a special round of applause from me for this. It is not usually the case – when done at all – that an author can capture the soul of music through words. Please note, however, that this is Christian fiction. This means that God/Christ will come into play at some point. I wasn’t aware of this when I began the book (I did not notice the publisher when I started reading) so it did take be my surprise when Jesus or Christ was first mentioned. I don’t mind this, if the story is well-told and the religious overtones come through the story naturally. Some authors do this well and McGee is one of them. Still … it will limit readership. At the same time, this book will reach out to those who look for Christian fiction but still want something that could easily stand on its own without the religious overtones. This is one of those books. Looking for a good book? 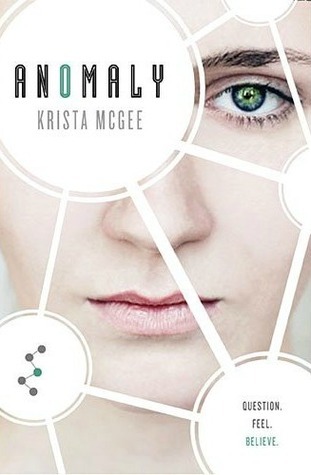 Anomaly, by Krista McGee, is a well-written YA dystopian novel with Christian overtones that may turn some readers off. First off – I am NOT the intended audience for this book. 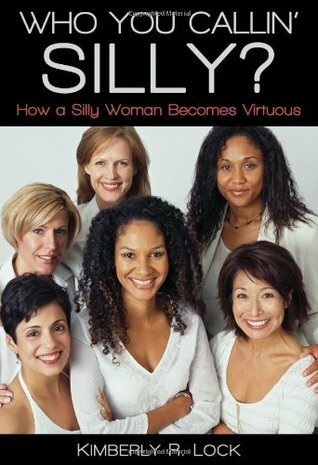 This book, written by the devout wife of a pastor, is directed toward other women of faith and is a guide for how to be a virtuous woman. The author was aware that I was not the intended audience when she sent the book to me. I had difficulty with the book right off the bat due to typographical and English construction errors. The third word on the very first page of the book is incorrect (the word printed is “every” when it should be “ever”). In Chapter 2 (which is page 3), the opening paragraph uses multiple points of view, changing pronouns from “us” and “we” to “you” and back again. This pretty much sets the tone for what you are in for, as far as a professionally published book goes. And while typography and English errors drive me crazy in a bound-and-sold book, I can overlook this and just wish the publisher/author had gotten a better editor/proofreader, if the material is engaging. But for me, this is not particularly engaging. Again … I am not the target audience for the book. I am not a woman looking to find validation in my life through Christ. And I’m not sure I know too many who are. The book is divided into three parts: a section for single ladies. A section for married ladies. And a section for all women. Essentially all sections say the same thing – how to live your life according to the Bible. But what I felt was that this book is sets women back a couple of decades. The movement for equality – to be respected and paid for a job on the same level as men – takes a backseat here. Constantly, as I read through this, I thought that if I shared this book with my wife (a devout Catholic), she’d have a lot of problems with what the book was suggesting and would want to know why I thought she should read it! Can Christianity and a living a life of Faith exist in the modern world? I believe that it can. But I don’t believe this book is helpful. Instead, this book takes the woman back to the 1940’s or 1950’s when women were much more subservient. Looking for a good book? Who You Callin’ Silly? by Kimberly R. Lock is a Bible study for women that puts the modern woman into a role that was much more familiar to women fifty years ago. Having grown up Lutheran but now married to a Catholic, I’ve often been asked, “Well, what do Lutherans think about that?” And like all good Lutherans, I wouldn’t have a clue. This is an amazingly concise and readable book full of history (Christian in general and Lutheran specifically) and a comprehensive explanation why Lutherans worship in the way that they do. It also explains why certain things are said at every worship (the Kyrie, the Creed, the Votum, the Sanctus, etc) – where they came from and why they’re important. “I find your lack of faith disturbing,” says Darth Vader after Admiral Motti criticizes him for his devotion to the mysterious Star Wars “Force.” Darth Vader is right—not about the “Force,” but about a lack of faith. A lack of faith is disturbing. Each section of the book begins with a “What you’ll learn” in the next few chapters, making it easier for those looking for specific information. The end of the book contains a number of helpful appendices. A Christian History Basics timeline. A Biblical Events Timeline. Weird and Wonderful Bible Facts. A listing of Messiah Prophecies. A month by month listing of commemorations. And even a listing of Lutheran churches around the world. If you are at all curious, whether it be simply out of interest in religious history, or a personal faith journey, this book is well worth reading. Looking for a good book? 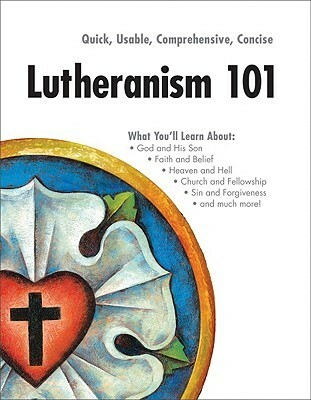 Lutheranism 101 is a comprehensive (but easy-to-read) manual on what it means to be, and how to worship as, a Lutheran.